Welcome to Lewiston Maine – Maine’s second largest city. 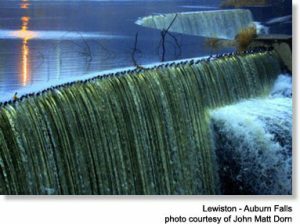 Lewiston is situated on the banks of the Androscoggin River, midway between the state’s spectacular coastline and lush mountains, and alongside the Maine Turnpike. 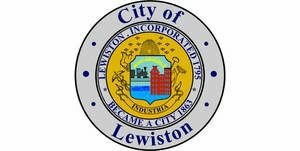 Lewiston was first settled in 1770 by Paul Hildreth – twenty-five years later it was incorporated as a town. Even from its earliest days, Lewiston offered a thriving industrial economy that was driven by the energy supplied by the Androscoggin River. Each year, Lewiston hosts several festivals, including the Liberty Festival, the Great Falls Balloon Festival and Festival FrancoFun. Lewiston houses four different colleges and universities, including Bates, Andover College and the University of Southern Maine. This Maine city is also home to the Lewiston Maineiacs, the only American team in the Quebec Major Junior Hockey League. To share any Lewiston, Maine information, contact us.